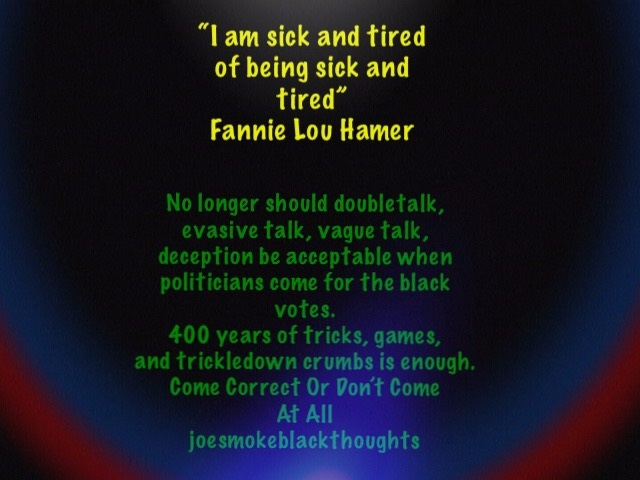 Fannie Lou Hamer stated that she was sick and tired of being sick and tired of white Mississippi Oppression. Well, dammit, I am tired of politicians speaking with forked tongues, doublespeak, doubletalk, evasive language, vagueness, and outright deception when they speak to our black communities. Until I recently spent just a little time investigating at Kamala Harris’s prosecutorial background. I had the misconception that Mrs.Harris was a remarkable, convincing candidate to run for the presidency, but now not so much. Her record as the chief criminal prosecutor in the city of San Francisco, as well as the state of California, revealed her obvious flaws as it relates to the uplift of the black community. This comes from someone who has read both Michelle Alexander's book detailing the mass incarceration of blacks as well as Angela Davis's book related to the policing of black men. In reading those books you see how Mrs. Harris misrepresented the entire black communities in her push for power and national recognition. Mrs. Harris, recently even decided to evade the multiple issues facing Black Americans but attempting to decolorize them as simply American issues. I simply cannot fathom any longer politicians either black or white who are unwilling to directly confront issues specific to the black communities. We need leaders in true mode of Malcolm, Martin, Medgar, Stokely, and Ella who understood that for too long waiting for integrated solutions will never elevate our issues to the forefront of government institutions. We need candidates who are afraid to speak from a black perspective while also being able to speak to creating alliances that will strengthen our voices. Just as Dr. King was focused on these alliances prior to his demise in Memphis. 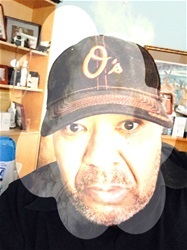 I am Black First but I can also assist others in the struggle to bring TRUE democracy across the board from sea to shore from east to west from north to south but I will always be an American of African Descent whose obligations are transparent. Just as whites have always found solutions to the myriad issues facing their communities. We must have voices willing to do the same. We can no longer ignore the unrighteousness that black communities face daily in these United States. That’s why our communities cannot no longer accept a candidate’s color as a prerequisite to getting our support, nor can simply say the candidate is a Democratic so he/she automatically passes our test of acceptance. We need candidates willing to face the line of truth and no longer we will be deceived by politicians talking out of both sides of their mouths. You either come correct or don’t come at. That is the only way our communities will prosper in the United States, 400 years of insufficient checks and words of deceit by both political parties should teach us that we must demand our share fairly. So, whether it’s Corey “I got a Boo” Booker, Kamala “Lock’em Up” Harris, Joe “You Still Around” Biden or whoever wants our black vote. Each potential candidate must address us honestly and forthrightly with specific plans to rebuild our faith in this horrendous system.